The night before International Women’s Day, I found myself wondering what would happen if all of the women at Miltec UV decided not to come to work. What would “A Day Without Women” be like at Miltec UV? Fortunately, this was just a fleeting thought, as Miltec’s women are not exposed to the inequality and other prejudices that women across America gathered to protest on March 8, 2017. Rather, Miltec’s women in leadership and support roles are acknowledged as the glue that holds the company together. Research shows that women are ideally suited for manufacturing leadership roles because they create the future and inspire innovation. According to a recent article in Industry Week, there is an irrefutable and verifiable link between women in leadership and improved business performance. Data from the U.S. Bureau of Labor Statistics reveals that women make up slightly less than 30% of the manufacturing workforce and females make up only 5% of the CEO’s in manufacturing. While Miltec strives to hire women, we do fall into this category with only 27% of our employees being female. We are proud to report we rely on several leaders, in addition to our CEO, all of which are females. Miltec UV was a woman-owned company for 24 years, until 2012 when the founders and owners, Marilyn and Joe Blandford, decided to split their shares in the company with their two sons, Bob and Charles. Marilyn remains the CEO of Miltec UV, a global leading manufacturer of custom UV curing equipment and replacement parts. Marilyn was instrumental in the administration and organization of the company at its inception and has continued in that role. Karen Bruno is our Director of Human Resources. Karen is an experienced HR leader, responsible for recruiting, compensation, benefits, training, development and employee relations. She is committed to recruiting the most qualified candidates and supporting all employees at Miltec while balancing the needs of the Company. She has implemented several new programs and promotes enthusiasm and professionalism in all that she does. Mary Yeager is Miltec’s Accounting Manager. She is responsible for budgeting, accounts payable, accounts receivable, payroll, commissions, custom invoicing, collections and reception. Due to her knowledge and attention to detail, her responsibilities branch out into all departments. Additionally, she is the accounting system administrator. Mary is a reliable and valued employee. Lena Mazeina works for the Miltec Battery Division as a Ph.D. Chemist. She leads the development of cathode coatings used in Lithium Ion Batteries. Lena runs all of the electrochemical testing of coin cell batteries in the laboratory. Her expertise has been invaluable to the development of this project. Joyce McGinnes is Miltec’s Materials Manager. Joyce began her career over 11 years ago as the purchasing manager of a one person department. As the company continued to thrive, she was promoted to Materials Manager. She is responsible for all aspects of direct material flow including procurement, planning, scheduling and inventory control. Her department has grown to 5 employees, including the Purchasing Manager, manufacturing planner, buyer and the purchasing expeditor. Miltec has such confidence in Joyce’s abilities that they have relied on her to act as temporary supervisor in both the Bulb Division and Shipping department. Jennifer McCullough is our Manufacturing team leader and was just promoted to ElectroMechanical Assembler III. She is responsible for overseeing the work done by all of the assemblers in the manufacturing department. This includes, inspections, calibrations, Miltec consumable parts manufacturing, inventory control, and employee training. Jennifer is also responsible for testing all of the equipment we build. Jennifer has proven to be an excellent leader. Connie Blandford is our Trade Show Coordinator. Miltec exhibits at between 4-8 International and Domestic Trade shows annually. Connie is responsible for all aspects of trade show management including registering for the trade show, ordering equipment and displays for the booth, securing accommodations, transportation and reservations for staff, determining arrangement for the exhibit, communicating show requirements and coordinating future trade show selection. Beth Mosner is the Sales and Marketing administrator for Miltec UV. She is responsible for press releases, marketing material, literature, promotional items, trade show organization, product releases, website updates, intranet management, eMarketing, CRM database management, travel arrangements and communications with the outside sales representatives. Additionally, she handles several other administrative tasks as needed. Beth began her career with Miltec as the inside sales team leader and was promoted internally to Shipping Supervisor then Sales and Marketing administrator. 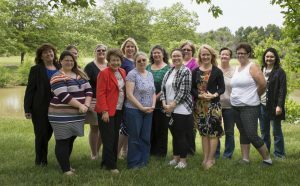 In addition to these women in management, Mitec UV relies heavily on several other key women that are extremely valuable to the company; Nancy Kunkel, Inside Sales, Terri Cornelius, Quality Control Inspector, Ashli Hardesty, Purchasing Assistant, Jamie Yeager, recently promoted to Purchasing Expeditor, Kellie Bose. Receptionist/Accounting Clerk, and Olivia Blandford, Marketing Assistant. Miltec also manufactures UV bulbs in our Bulb Division which is supported by several additional women; Linda Hilpert, Katie Frobish, Molly Mescher and Loretta Mattingly.